There are so many great things to say about Julia & Marcus that I don’t even know where to begin. As you may or may not know, BRIDAL BLISS began as a business plan entered into GONZAGA UNIVERSITY‘s BUSINESS PLAN COMPETITION. 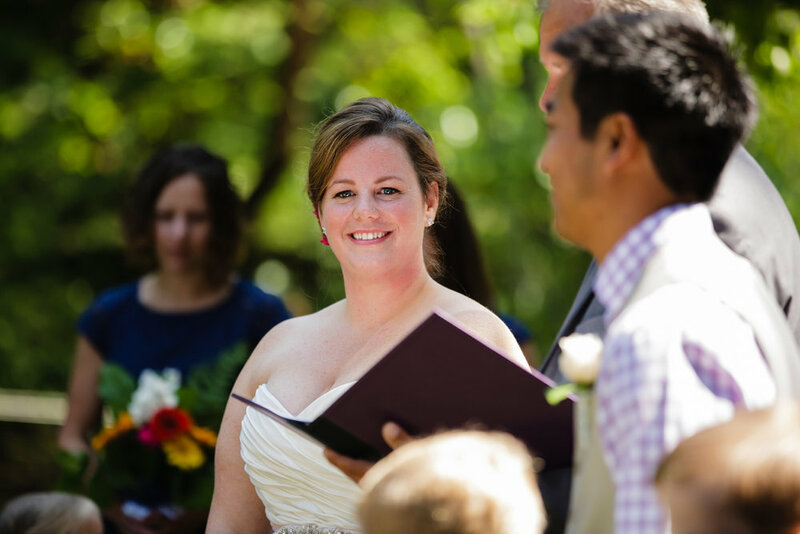 My business partner was our beautiful bride, Julia. We ended up winning the competition (yay!) after which Julia decided to live in Seattle and I decided to move back to Portland and start up Bridal Bliss. Regardless, we have remained good friends so I’m sure you can imagine how excited I was to receive her call telling me that she and Marcus were finally engaged! The two dated for years and years, so I knew it was bound to happen soon. These two are salt-of-the-earth, good, fun people. Let me tell you, they know how to party! 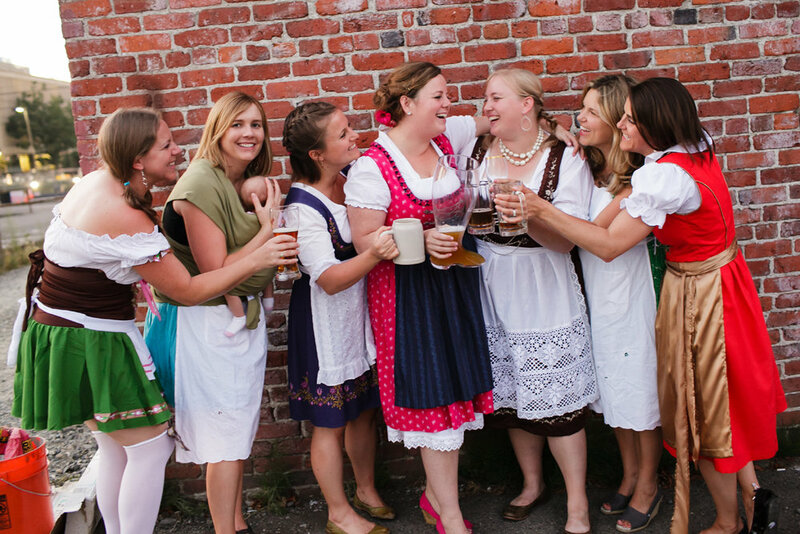 Soon after Julia shared the good news, I learned that they wanted a German themed wedding. You heard right. 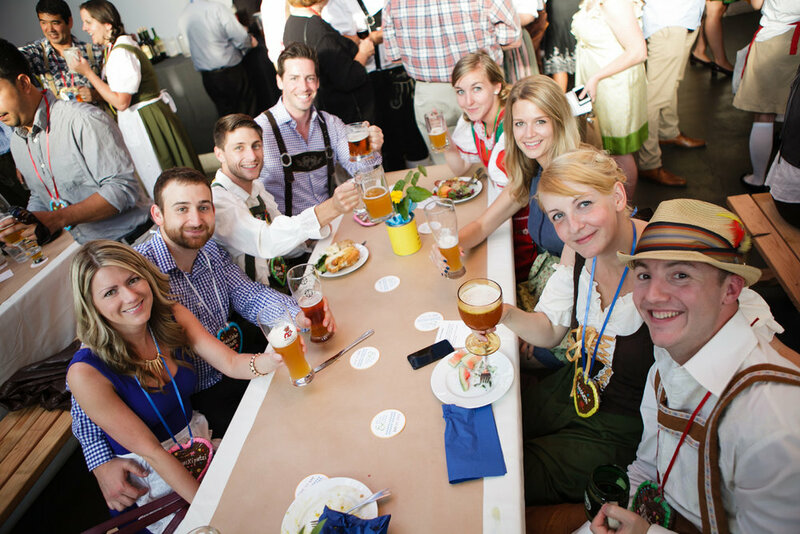 ELIZABETH came on board to plan the big event and took the Bavarian theme to the next level. 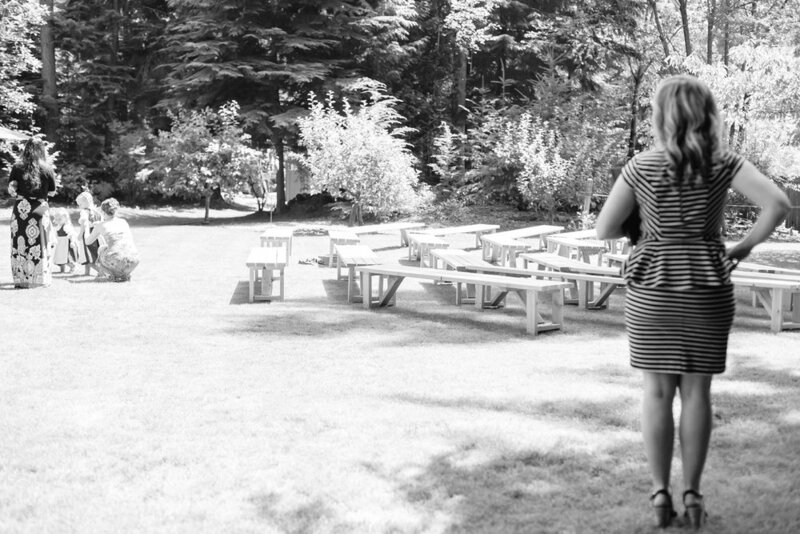 With only a few months to plan, this wedding was one for the books. 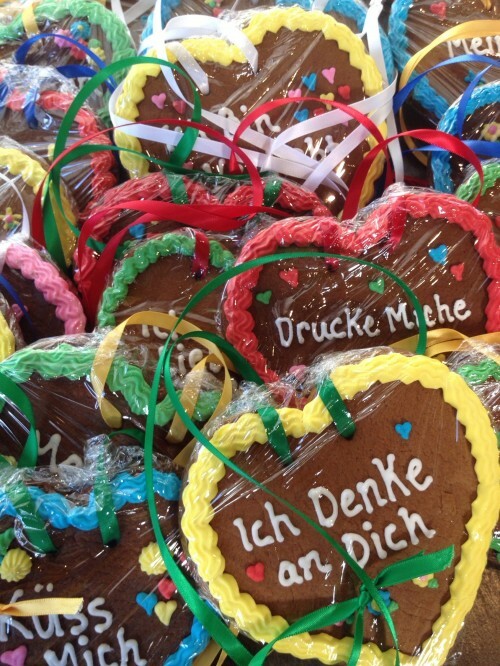 So many awesome details to this event–take a peek! Elizabeth making sure everything is perfect before guests arrive. In lieu of a wine ceremony…Julia & Marcus had a Saki ceremony! We enjoyed a Cocktail Hour at the home before heading over to the reception in downtown Seattle. 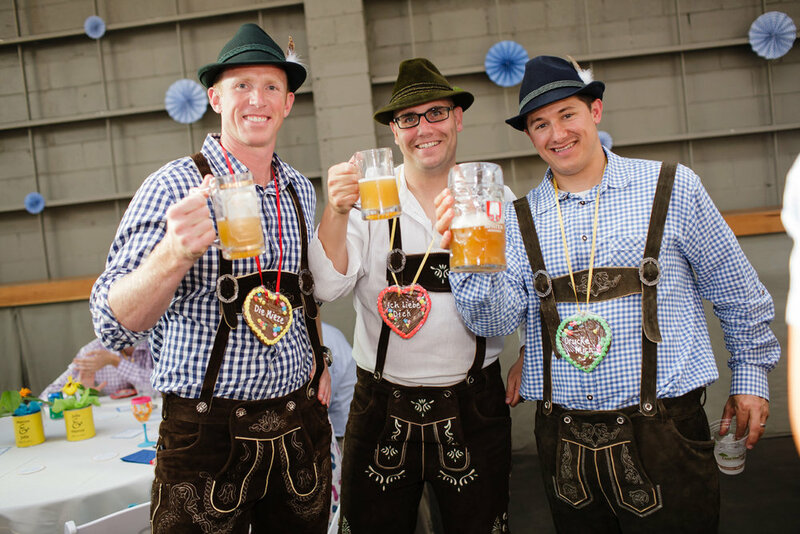 The reception, which took place at 415 WESTLAKE, is where the Bavarian theme came to play. 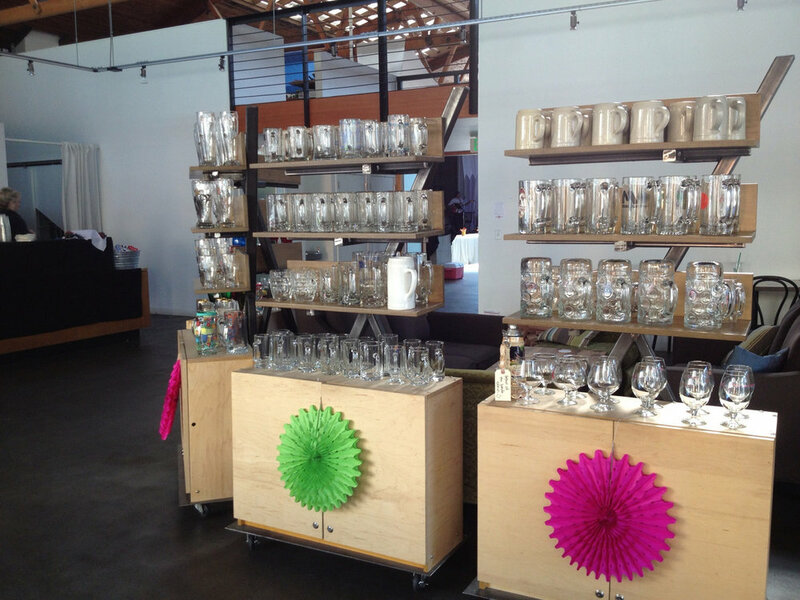 As they entered, guests could choose their glass or stein for the evening. The benches were made by Julia’s father! 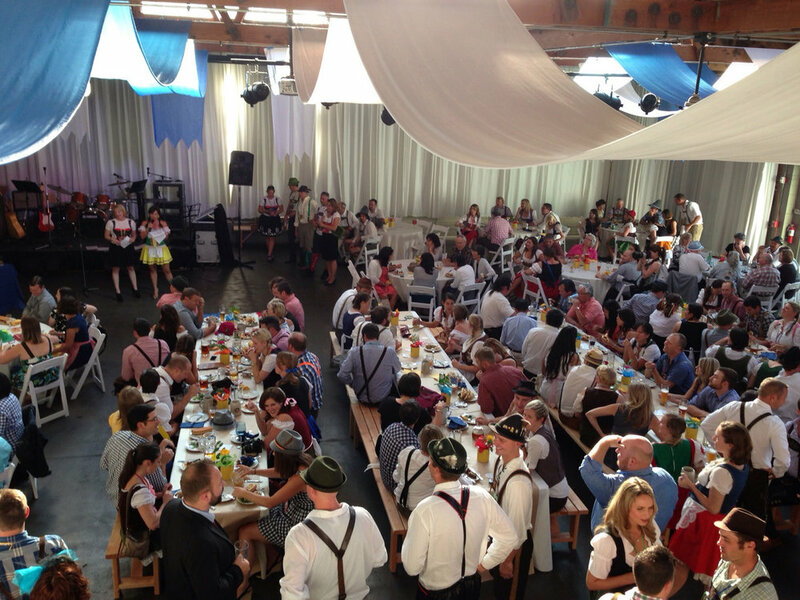 I was so impressed with how many people actually dressed up in traditional German garb. With 200+ guests, it is pretty impressive to have a whole room into the theme! 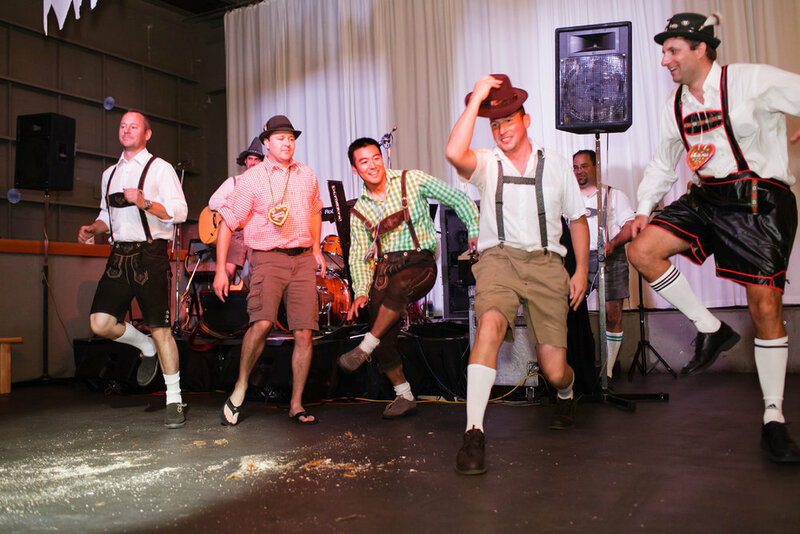 The German band (and beer), kept the guests dancing all night.